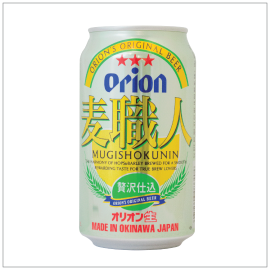 From the classic Okinawa beer brand, Orion Mugishokunin. By utilizing the brewery's sophisticated original brewing technique and carefully selected raw material, this brew is on par with other traditional Japanese beer embodying the best balance of barley and hop. Enjoy the light crisp body with with smooth, refreshing quality.